In a new commentary, published recently in Trends in Pharmacological Sciences—through an article entitled “Introducing the Microbiome into Precision Medicine”—two University of Chicago researchers frame a persuasive argument that studies of the microbiome should be integral to future precision medicine initiatives. A continuously growing body of research shows the microbiome—the community of bacteria, fungi, viruses and other microorganisms living in the body, mostly in the digestive tract—plays a crucial role in human health and disease. Because of its influence on disease states and response to treatments, the scientists believe the microbiome should play a vital role in the field of personalized medicine, which has been dominated thus far by genetics. In his State of the Union address of January 2015, President Obama announced the Precision Medicine Initiative, a comprehensive effort to develop medical treatments tailored to an individual's unique genetic makeup, environment, and lifestyle. Instead of relying on one-size-fits-all solutions designed to help the largest number of statistically average people, such treatments could leverage advances in genetic testing, molecular engineering, and big data analysis to target diseases that are often unique to each patient. Drug response and interactions—The mechanisms by which the body metabolizes drugs plays a key role in their effectiveness and potential for adverse reactions. 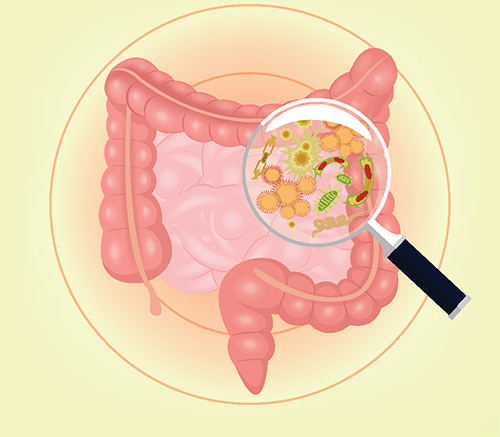 Similarly, the gut microbiome is an important driver of the body's metabolism and digestive process, as more than 60 drugs have already been identified to have interactions with the microbiome. As that number is sure to increase, a greater understanding of these interactions in the context of a patient's unique microbial community could lead to more efficient treatments. Targeted treatments and antibiotics—Antibiotics have a direct effect on the microbiome, with widespread effects on microbial balance within the body—not only eliminating pathogens but helpful bacteria that are essential to health. Development of precision antibiotics and therapies that target specific pathogens and enzymes would improve the effectiveness of such treatments and reduce the spread of resistance by avoiding overuse of broad-spectrum antibiotics. Prebiotics and probiotics—Precision deployment of prebiotics could stimulate the growth of specific microbial strains to help restore a healthy balance of gut bacteria. Likewise, a better understanding of the individual communities of microbes in a patient, how they differ from diseased to healthy states and how to manipulate those communities reliably, could also aid researchers in developing more effective probiotic products. Underserved community disparities — Several health conditions, including obesity and asthma, which disproportionately affect people living in low socioeconomic status or medically-underserved communities have been linked to disruptions in the microbiome. Such communities could greatly benefit from further research on the specific environmental and lifestyle factors that influence individual microbiomes and possibly contribute to the development of these conditions. Since the human microbiome is incredibly complex and can rapidly change in an individual, it offers a prime opportunity for developing highly-personalized, precision treatments.